Pizza is inherently anti-vegan, what with one of the key ingredients being cheese. So after vegans took over London's food scene, something needed to be done to adapt the Italian staple. Initially cheese-less pizzas made an appearance, but this wasn't good enough for everyone. There was something missing with this solution. Hint: it's the cheese. Over time, the quality of non-dairy cheeses has improved immensely, making the proper vegan pizza dream a reality. 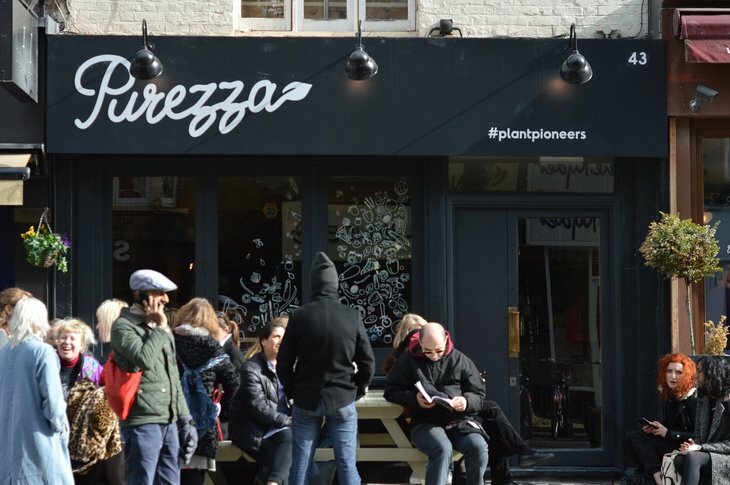 Step up Purezza, which claims to be the UK's first vegan pizzeria. Whether or not that claim is true is unimportant, all you need to know is that Purezza does Neapolitan-style vegan pizza right. We settle on the excellently named Parmigiana Party — fried aubergine, sliced seitan and smoked mozzarella — and the Cheesus — an assortment of vegan cheeses. 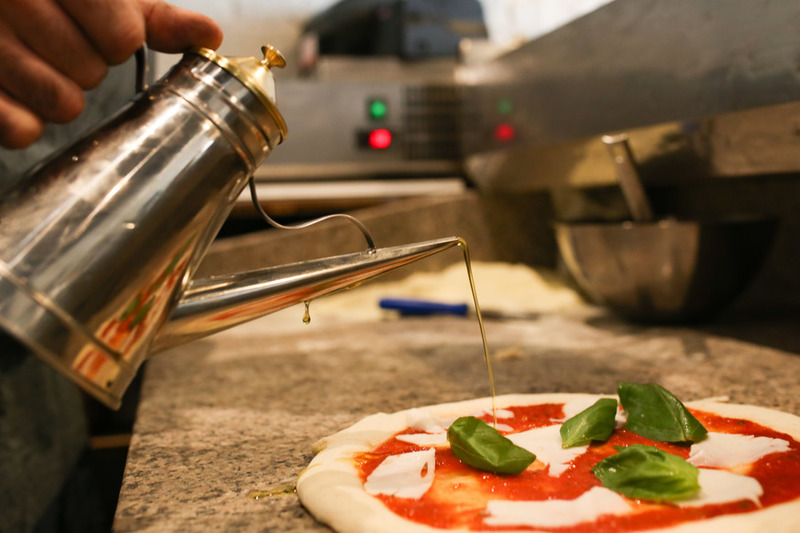 They both deliver in abundance, from the dough to the flavours to the cheeses. Particularly of note is the melty coconut cheese on the Cheesus, which really does taste remarkably like ricotta. At the end of each slice, our puffy crusts go down a treat with some vegan garlic mayo. On the side, we try some Dough Balls, along with pesto doused Courgetti Spaghetti. The dough balls ooze with vegan cheese, they're just as good as the pizzas (though a lot smaller). For dessert, the Oreo Pizza is more than a little tempting, but the idea of having the waiter roll us out the restaurant — we're that full — puts us off. Instead we try the Raw Tiramisu, a delicious dish, enhanced by the inclusion of dates at its base. The crème brûlée is the only dairy-less step too far; something about the texture is amiss — a little too chewy we think. It's not enough to put a downer on the experience, however. 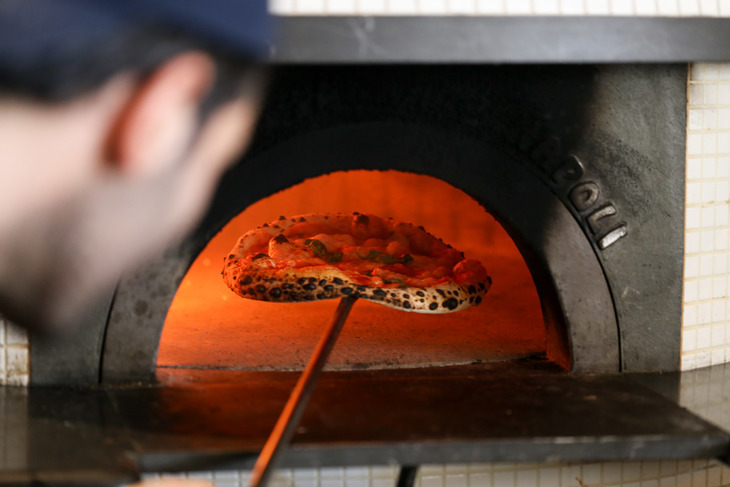 Most dairy-avoiding pizzerias don't come close to the quality of Purezza.